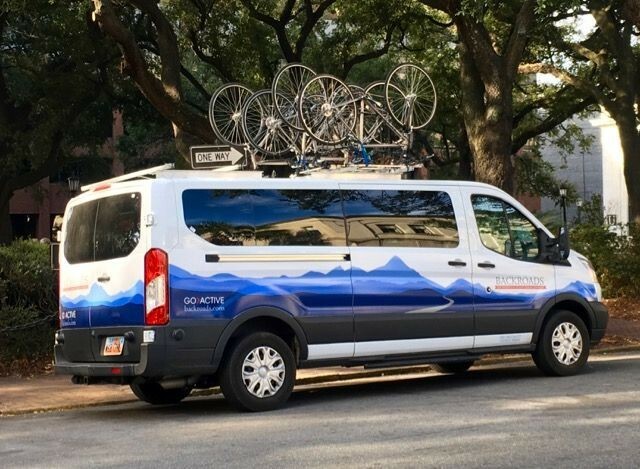 IF YOU were near Johnson Square around 9 a.m. on Nov. 10, you might have seen a group of tourists near a van with bicycles on top. At exactly the same time, another van operated by VBT (“Bicycling and Walking Vacations Since 1971”) was parked near Ellis Square. 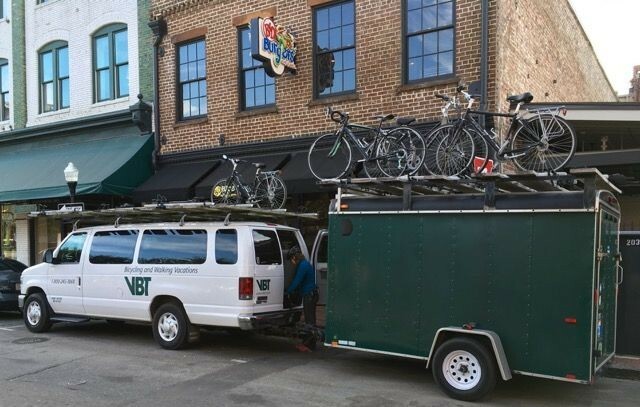 Participants in the Vermont-based company’s “Charleston to Savannah: A Southern Reel” tour (from $2,195) were rolling out to explore Savannah by bike. As we continue public conversations about how much tourism Savannah can handle, it’s important to remember not all visitors are the same. As a demographic group, bicycle tourists are well-educated, affluent, and don’t bring with them the negative consequences that some others do. They don’t compete with locals for parking spaces and don’t contribute to wear and tear on our streets. And they are unlikely to start brawls on Congress Street at 2 a.m. After all, they want to get up early and ride. 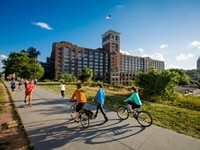 These national tour companies, along with local businesses such as Savannah Bike Tours and Savannah on Wheels, are well aware the economic potential of encouraging people to explore Savannah by bike. You might think Savannah’s emergence as a bicycle tourism destination would bode well for our chances when the city reapplies for Bicycle Friendly Community recognition from the League of American Bicyclists next year. 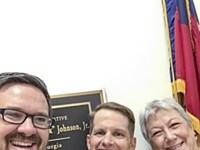 Will we be the first community in Georgia to earn silver- or gold-level status? Almost certainly not. In fact, our bronze-level ranking may be in jeopardy. That’s because we’ve largely abandoned work on a central metric for determining bicycle friendliness: It’s been almost five years since the last bicycle infrastructure project in Savannah was completed. 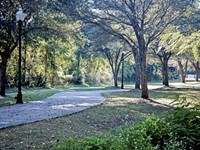 Sure, we’ve continued to install bike racks, but when it comes to significant projects improving safety and access, the City of Savannah has done little in recent years to meet the needs of people who ride bikes for recreation and transportation. Looking back, the administration of Mayor Otis Johnson was a golden age for bicycling improvements in Savannah, which delivered our bronze-level ranking in 2013. Mayor Johnson understood better bicycle facilities are critical to the safety of thousands of people in Savannah for whom traveling by bike is a necessity, not a choice. He also perceived that expanding and improving our active infrastructure network would convince others to make bicycling a healthy part of their daily lives — a fact that has been confirmed by study after study in the intervening years. Since Mayor Johnson left office, city officials have expressed support for bicycling, but conditions have deteriorated. Except for the 2015 Complete Streets ordinance, it’s difficult to find any positive developments for Savannah cyclists since 2012. To be clear, I’m not a member of the “City Hall can’t do anything right” brigade. In fact, I’m in the opposite camp. Some elected officials recognize that bike lanes and trails yield benefits to the entire community, not just people who ride bikes. 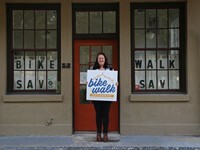 We also have capable and committed city staff members eager to put Savannah back on the road to bicycle friendliness. And finally, a large majority of citizens — 87 percent, according to a poll of likely voters in Savannah commissioned by Georgia Bikes — favor investments in safe, family-friendly streets. What’s missing is the political will to move beyond vague expressions of support. 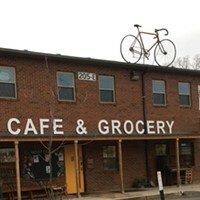 In announcing the latest round of Bicycle Friendly Communities last week, the League of American Bicyclists’ praised the leadership of Mayor Betsey Price of Fort Worth. Officials here have made similar comments in recent years, which is encouraging. But we need more than words. Since Price took office in 2011, Fort Worth has added 66 miles of bike lanes and dedicated $1.2 million to building trails, according to Bicycling Magazine. 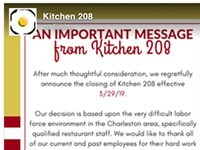 With the arrival of Rob Hernandez, Savannah’s new city manager, and Elizabeth Taschereau, his strategic initiatives manager, we have reason to hope. There are several projects and initiatives in the wings that would yield tangible results fairly quickly. But we can’t wait five more years. We must act soon to improve conditions for residents and visitors alike. Our reputation as a bicycle friendly community is not a permanent situation. Unless we correct our current path, injuries and fatalities among people who ride bikes will continue to climb. And those vans with bicycles on top and desirable visitors within will stop coming to Savannah.